In House District 6, Democrat Tess Judge outraised Republican Bobby Hanig in both the First Quarter and the Second Quarter for what is now an open seat. (Hanig beat out incumbent Republican Beverly Boswell in the May primary.) In the Second Quarter especially, Judge raised $63,583.23 to Hanig's $13,050. The 6th District was redrawn this year to encompass Dare, Currituck, Hyde, and Pamlico counties on the North Carolina coast. Democrat Tess Judge was helping her husband Warren Judge run against Beverly Boswell in 2016 when he tragically died in the last week of that campaign, practically on the eve of the election. Democratic leaders wanted Tess to replace her husband on the ballot, but it was too late for making that change, and even deceased, Warren Judge got 48.17% of the vote against Boswell. Tess is back this year running in her own right. Tess Judge has worked in hospitality management her entire career and is well known in the coastal community for serving on the Board of Directors of the Outer Banks Chamber of Commerce. 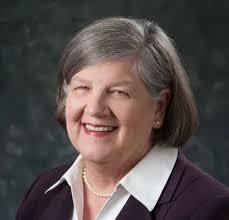 She and her late husband Warren were named Co-Citizens of the Year by the Chamber in 2011. “As someone who has operated small businesses in our community for years, through good times and bad, I know how to manage a budget while also creating jobs .... Our people are our greatest resource – it’s time to listen and invest in them. We need to make public education a priority again. For years we have been asking our great teachers to do more with less and our schools and community colleges are underfunded. I’m running to ensure that our investments in public education result in more opportunities for our students and a workforce trained for the jobs of the future,” she said. She also currently serves on the Board of the Outer Banks Hospital and is Chair of the Outer Banks Hospital Development Council. She's been outspoken in opposition to off-shore drilling. In House District 98, Thom Tillis's old seat in north Mecklenburg County, now held by Republican incumbent John Bradford, spunky Democrat Christy Clark has outraised Bradford in combined First and Second Quarters $70,890.47 to $17,165.62. Democrat Christy Clark currently works as an intellectual property and business law paralegal at the law firm founded by her husband in Charlotte. She received her undergraduate degree in English at Roanoke College and her Certificate in Paralegal Studies from Duke University. 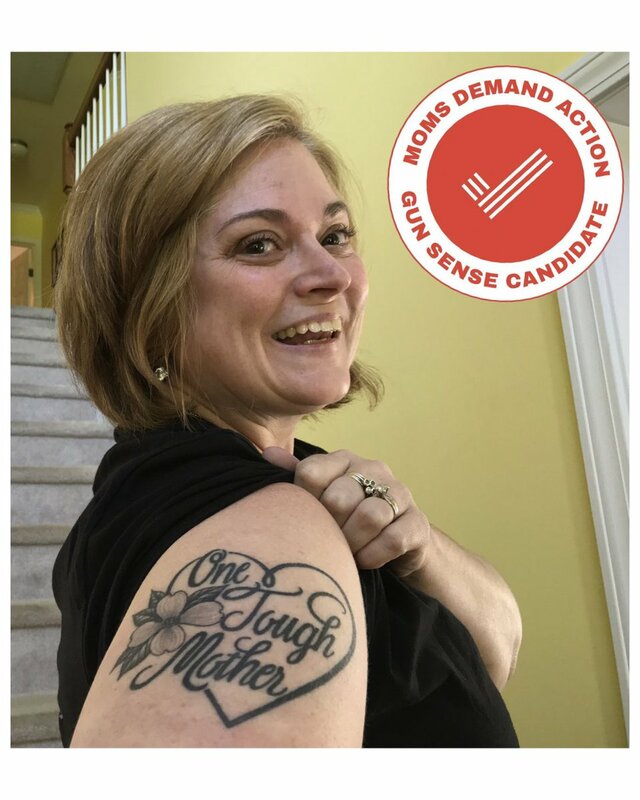 She's been particularly involved with gun violence prevention, serving as the North Carolina Chapter Leader of Moms Demand Action. In that role, she says, she has spent many hours lobbying lawmakers in Raleigh, attending both committee meetings and House/Senate sessions. As a paralegal she's very familiar with the Secretary of State's office and is well informed on what's required for entrepreneurship in North Carolina. "Working with a wide range of individuals and businesses from all across the state has given me the insight into what is needed to grow a business." She lists education at the top of her issues page (as do 99.9% of the Democrats running in North Carolina this year), and she's for expanding Medicaid under the Affordable Care Act (as are ditto). Her campaign is organizing neighborhood canvasses (sometimes in 90-degree heat), which speaks volumes about energy in that district. Not to forget the fundraising. In House District 93, "weatherman" Ray Russell, the Democrat, is leading incumbent Jonathan Jordan in total fundraising ($92,961.81, over both quarters, to Jordan's $46,152.42), but has also spent a lot already (signing on with the House Democratic Caucus has some steep costs). Still, Weatherman Ray still has more cash on hand at the end of the Second Quarter -- $27,426.08 to Jordan's $21,476.63. The 93rd District consists of Ashe and Watauga counties. The last time it was in Democratic hands = 2010. Democrat Ray Russell is not your standard Democrat (non-standardization is the standard of 2018!). He used to be a Republican. He's also a preacher who attended a Bible college and has pastored several churches. But he's also a climate scientist with a deep reverence for scientific truth. 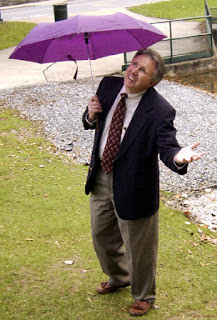 He launched Ray's Weather, the on-line forecast site for the mountains of western North Carolina, in 2000, using his higher training as a computer scientist and a keen hobbyist's enthusiasm. He now employs four meteorologists and stretches his weather coverage from Asheville to Wytheville, Va. Russell announced his candidacy early in 2017 and went to work, and he's got solid campaign infrastructure: a manager and an army of volunteers and Facebook, Twitter, and website presence. He's raising money and sharpening a message and presents an energetic contrast to the lethargic Jordan: Russell, among other qualities, is a marathon runner. In 2016 he ran the entire length of the Blue Ridge Parkway, 469 miles, to raise money for the Blue Ridge Parkway Foundation. In House District 119, Democrat Joe Sam Queen has outraised incumbent Republican Mike Clampitt by a good country mile. Queen has cash on hand of $56,683.66 to Clampitt's $17,491.14 (Clampitt only raised $21,850 during the Second Quarter). Queen used to own this seat, and Clampitt ran against him unsuccessfully at least twice before taking the seat in the Twitterman Wave of 2016. District 119 takes in a lot of mountain landscape -- from Waynesville, Cherokee, and Bryson City, down through Sylva and Cullowhee and south through Cashiers to the lowlands along the South Carolina border. Democrat Joe Sam Queen is an architect in Waynesville. He provides color, and politically, he's got plenty of grit. His family speaks to his values: "My wife, Dr. Kate Queen, is a rheumatologist for Haywood Regional Medical Center. My daughter Sara is an outstanding young architect and professor at NCSU, as well as a new mom to my first grandson Cole. My son Charlie, a chemist, is the Lab Director for Panacea, a North Carolina start up company in the field of personalized medicine. Both are graduates of the University of North Carolina system. As a united Methodist, I've taught Sunday school for over 20 years, led Boy Scouts, and coached youth soccer. 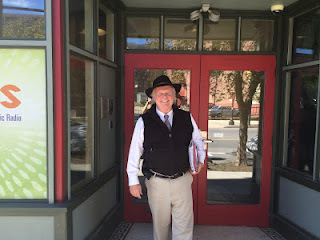 And, like my granddaddy before me, I call the Appalachian Square Dance." He's served in both NC House and Senate. He won the 47th Senate District in 2002, lost it in 2004, and came back and won it again in 2006 and kept it through the election of 2010. That's grit. After he lost the Senate seat, he ran and won the House seat in 2012 and kept it through reelection in 2014. He was a vocal leader in the call to expand Medicaid in North Carolina and raise teacher pay. He is strongly against fracking in North Carolina and has made strong public remarks against it. In House District 1, Democrat Ron Wesson, a county commissioner in Bertie County, is running against Republican Eddy Goodwin, a county commissioner in Chowan County, for an open seat on the Carolina coast. In a low-dollar campaign, Wesson has outraised Goodwin and has a cash-on-hand advantage, $17,765.43 to $7,361.50. 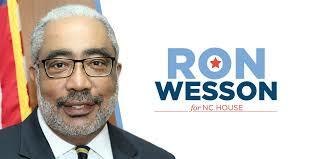 Democrat Ron Wesson is impressively qualified to win the seat. He's been elected and then reelected as a Bertie County commissioner, and he's served as both the chair of the board of commissioners and currently as vice-chair. He was born and raised in Bertie County, and he's married to a psychiatrist in private practice, Dr. Patricia W. Wesson. Ron completed his undergraduate work at UNC-Chapel Hill and his graduate studies at The Sloan School of Business, Massachusetts Institute of Technology, and then joined the Dun & Bradstreet Corporation where he served for more than 31 years, retiring as a senior vice-president and Global Leader. In 2004, Black Enterprise Magazine named Wesson one of the 50 most Influential Minorities in Business. Returning to Bertie County after retirement, he threw himself into community service, became chair of the Bertie County Chamber of Commerce, joined the Rotary Club, the Bertie County Community Foundation, and the Bertie County Schools Foundation. He moved into public service in 2012, running for and winning his seat on the county commission. He was actively recruited for this race by the Democratic House Caucus. He says on his website, "Any success that I have had in business and in life, can be directly traced to the investment that others have made in me. I have always been encouraged to look beyond one’s self and seek to support others in ways that I have been supported. My Mother once said to me…'Son, God has blessed you with enough sense to do pretty much anything you set your mind to do. You will find that there are a lot of much smarter people out there, but never let anyone out work you to achieve your goals.' I have endeavored to live by this advice, and if given the opportunity, I look forward to working hard for the citizens of North Carolina’s 1st House District."